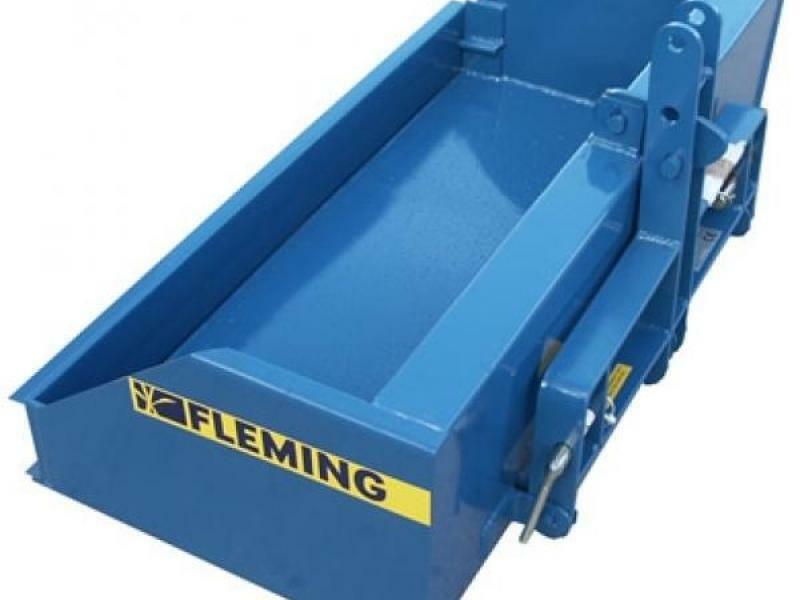 Fleming TB4 0.42 cu.m Standard Tipping Transport Box. Designed to work in various environments which includes everything from lightweight garden use right through to heavy duty work on a farm. BENEFITS INCLUDE: Finished with an anti-corrosive primer for longer life and durability A hard wearing and durable piece of machinery. Can be operated from within the tractor cab Solid construction of reinforced steel plate. Easy removable back door. SPECIFICATION: Weight: 128kg, Width: 1.26m, Height: 51cm, Depth: 78cm, Capacity: 0.43m3, Hp: 50. NOW IN STOCK Please give us a call for more information.